In the summer of 1961 Professor Povl Simonsen of the University of Tromsø made an excavation of an indigenous grave on Bonki Island, just next to the larger Årøya Island in the Lyngen Fjord. The grave was located on a small cliff on the western side of the island. The cliff is three metres high and is located at the foot of an area with large rocks. Here lay some bones under a large boulder, with a larger cave underneath. 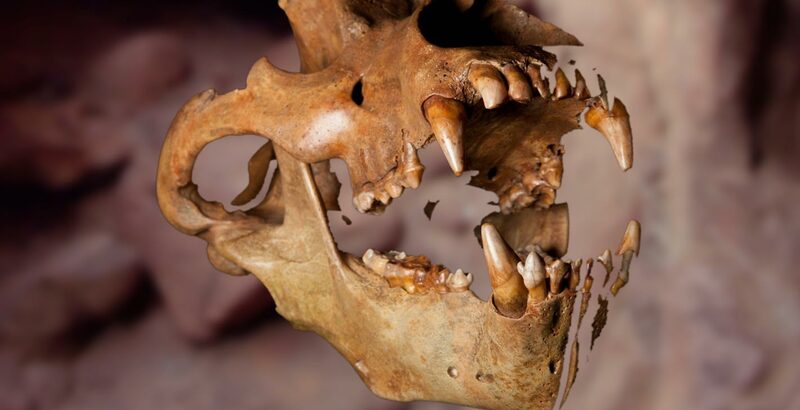 According to the excavation report, the grave contained the bones of a bear and a human skeleton without a head lying against the wall. 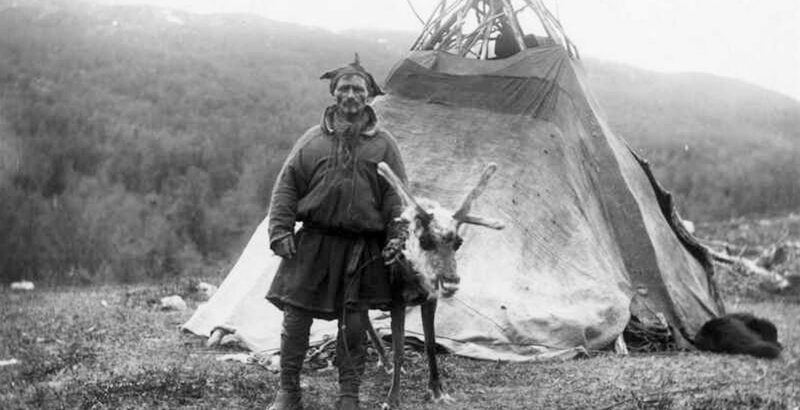 Bonki was a Sami hunter, and as an old man he lived alone on his island. This was at a time when the church stood on a place called Karnes, and in front of the church door there was a gauntlet. At that time it was compulsory to go to church on Sunday. Being a pagan, Bonki was obviously not at church. The vicar sent for him several times without success. The vicar then sent the district sheriff, who took Bonki to the church at Karnes on Sunday and put him in the gauntlet. Bonki went home to his island, and the vicar and people let him be in peace there. Sometime later Bonki felt that he would soon die. 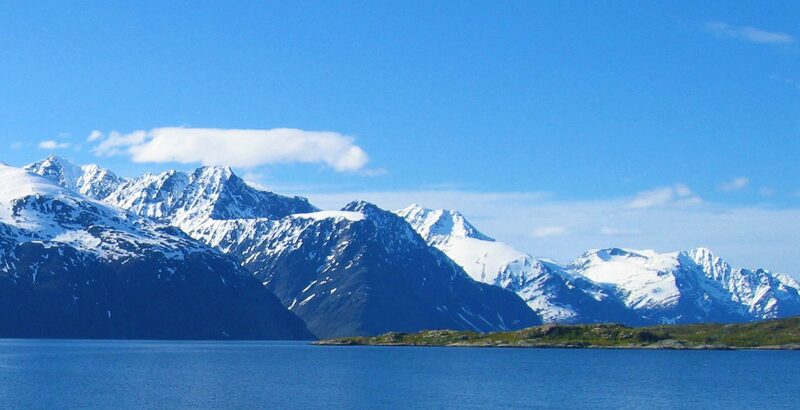 However, there was no one in the Lyngen area who could or would bury him according to his faith and rituals. Consequently, Bonki went over to the mainland and killed a bear, transported it out to the island and put it into the cave. In this way, Bonki arranged his own grave with the remains of the bear inside the cave. When Bonki felt death approaching, he went inside the cave and lay down beside the bear remains. He stayed there in the tomb until he died. 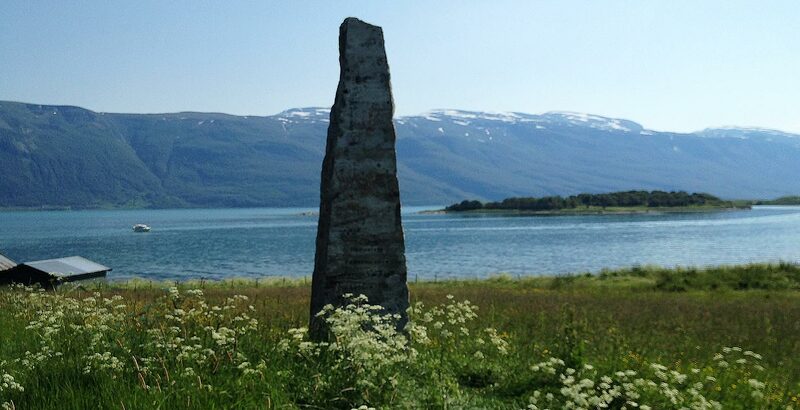 Professor Simonsen believed that the legend and the grave fitted into the historical image of the Lyngen area in the 18th century when the church put pressure on residents to seek the church. Folk tradition here has thus wanted to anchor the legend of Bonki and relate it to the time when there was a church in Karnes, sometime between 1731 and 1749. The church was then moved to Lyngseidet, where it stands to this day.